How Do The Models Compare? 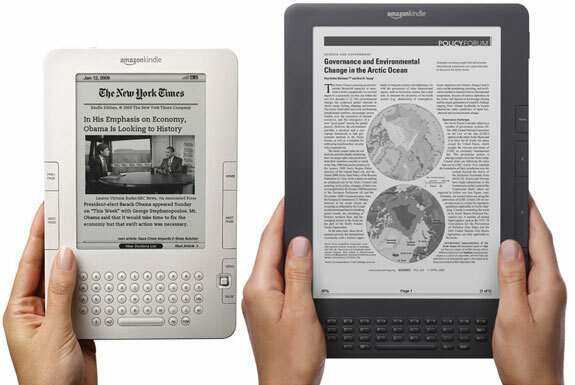 In many regards, especially in terms of performance and functionality, Kindle 2 and the Graphite Kindle DX are similar. Both reading devices offer a best-in-class e-book reading experience. 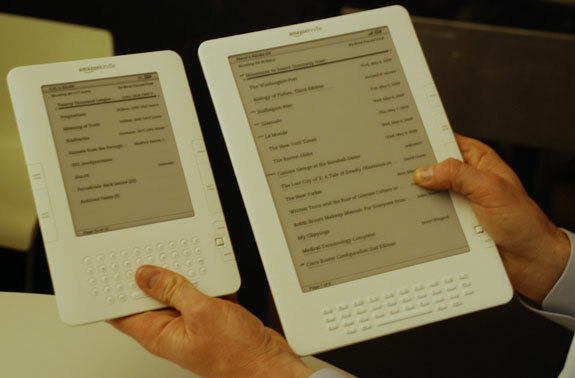 Both have screens with “e-ink” technology that approximates the look of a real book. Do you get eye strain after staring at your computer screen too long? That doesn’t happen after prolonged time reading on the Kindle. Technologically, both Kindles are nearly identical. Both have the exact same processor and the same text-to-speech functionality. Both use a 3G wireless modem—not wifi—to connect to the internet. So, as long as you can get a cell phone signal you can download a book, magazine or newspaper onto your Kindle in as little as 60 seconds! Each Kindle also has a USB connection to transfer books from your computer. The battery life offered by each Kindle is identical too: you can continuously read for four days with the wireless modem turned on or for two weeks with the modem off. 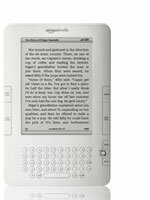 ; each Kindle’s battery can be fully recharged in about four hours. Both Kindle models can be used globally. For the Kindle 2, make sure you get the international version. For the DX, you’ll need the latest graphite model. Finally, both Kindle reading devices are compatible with the same library of e-books. Every book downloadable from Amazon’s Kindle Store is compatible with every Kindle. 1 = how the DX compares to the Kindle 2 on a percentage basic. Easily the most significant improvement Amazon made with their Graphite DX model is the screen. Compared to the old DX, the screen on the new Graphite offers much better contrast—50% better to be exact. With this improvement, the screen on the Graphite DX is now clearly high quality than that on a Kindle 2. Under normal lighting conditions you won’t notice the difference that much. You will when trying to read in direct sunlight. 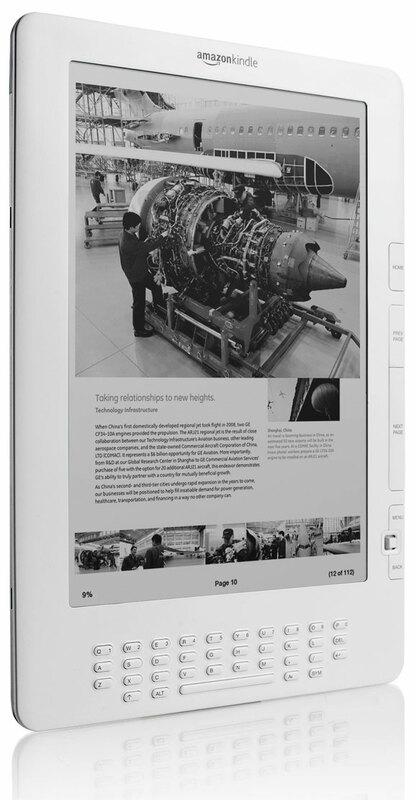 A native PDF reader. The DX will render PDF files with a document’s original formatting. This is especially useful for people who read media kits, sales presentations and scientific studies, which are often published in PDF format. The Kindle 2 has a conversion program that allows the reading of PDF files but much of the formatting (and some of the graphics) tends get lost in translation. 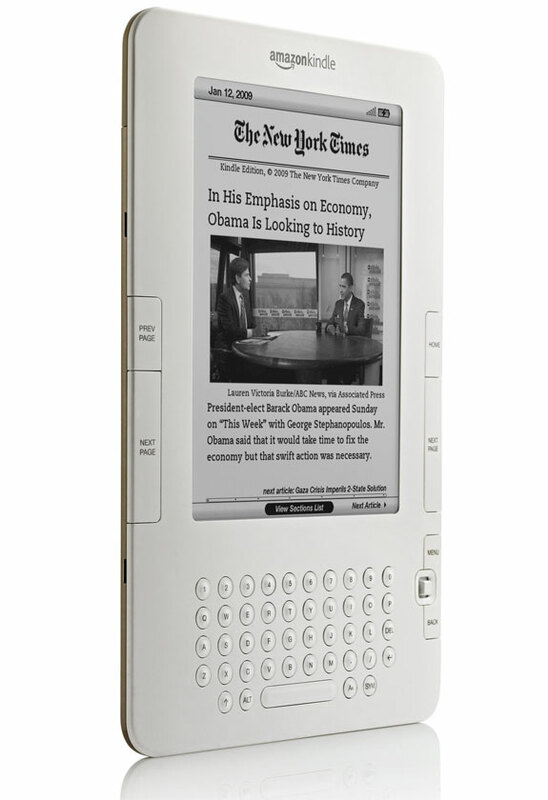 The Kindle DX’s auto landscape feature rotates the screen’s content depending on how you hold the device—hold the DX lengthwise and the text and graphics automatically orientate to fill the whole width of the screen. We found that this auto-orientation feature could sometimes be jumpy; occasionally (though not that often) small adjustments in the Kindle’s position could lead to the text suddenly jumping into landscape mode and then back again, as if our Kindle had drank too much coffee. Fortunately, the auto rotate feature on the Kindle DX can be turned off allowing the user to manually select a viewing mode. Newspapers, magazines, webpages, maps, charts and sheet music look especially glorious on the DX’s wide screen. The Kindle 2 has no landscape mode. Improved web browser. The browser on the Kindle 2 tends to reek havok on many webpage design. The browser on the DX (like that on the Kindle 2) can’t play video or flash graphics. But it does do a better job rendering websites. Not perfect, but better. Better keyboard. The keys on the Kindle 2 are larger and rounded; the DX keys are smaller, more oblong, and requires the SHIFT key to produce a number. On the Kindle 2 we found it too easy to accidentally hit a key, a problem we didn’t experience with the DX. 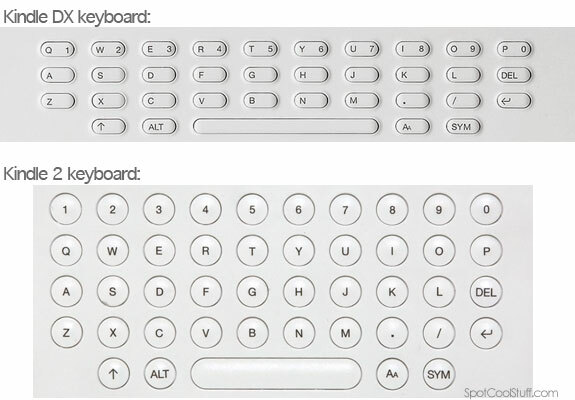 Honestly, though, Spot Cool Stuff is not a fan of either keyboard. People with smaller hands would probably prefer the Kindle 2 keyboard, the larger-handed among you the DX. Fortunately, the Kindle is a reading device—you probably won’t spend much time typing on it. Should you get a Kindle at all? Yes! The Kindle is one of Spot Cool Stuff’s favorite purchases and also one of the best travel gadgets. We say that acknowledging that the Kindle is not perfect. We wish it had a touchscreen, an ability to play video and a diverse selection of apps similar to those available for the iPad. 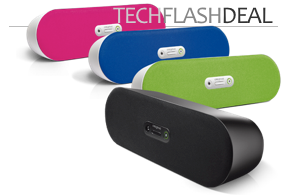 But we are not among those who clamor for one all-in-one device that can serve as your e-book-reader-telephone-computer-gps-camera-tv-mp3 player-and-dishwasher-in-one. For what the Kindle is—a device on which to read books, newspapers and magazines without killing trees—the Kindle is brilliant. The Kindle, like all eBook readers, saves weight and space. Instead of carrying around a heavy backpack of textbooks you can carry an entire library in your pocket. Heading on a trip? Bring as many novels as you could possibly read, plus several travel guidebooks, plus area maps, plus dozens of newspapers and magazines all in a device that’s approximately the size of one magazine. And the Kindle, like all eBook readers, is more environmentally friendly than paper (especially when it comes to reading newspapers). We also like how content finds its way onto a Kindle. Subscribe to a newspaper or magazine and you’ll automatically get the latest copy delivered to your Kindle over a cellular phone signal. (And, most importantly, you can subscribe to the Kindle version of the Spot Cool Stuff Travel Blog). Now, it should be mentioned that many books aren’t available for the Kindle. And some books (like The Girl With The Dragon Tattoo) are the same price in both electronic and print formats. Increasingly, though, not only are a larger percentage of books available on the Kindle, but there are books available only for the Kindle. Plus, several books on the Kindle are available for free (like The Adventures of Sherlock Holmes). For books that are sold in both formats the Kindle version tends to be between $2 and $9 less expensive. Plus, you don’t have to pay tax (as you would at a bookstore) or pay and wait for shipping (as you would buying online). If, altogether, you save an average of $8 per book bought on the Kindle, and if you buy an average of 1 book per week then that savings would completely cover the cost of the Kindle 2 in a about 9 months. The Kindle reading device feels good. It feel good in your hands. It feels good to your eyes. 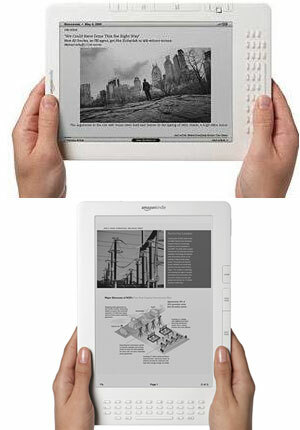 This is where the Kindle really sets itself apart from the competition: its “e-ink” technology. Reading on a Kindle is not like reading on a computer screen. It is not even like reading on an iPad screen. It is remarkably like reading a printed page. Trust us on this last point for now, order your Kindle through Amazon, and if you don’t like it you can easily return it. So, Which Kindle Model is Better? On a pure cost comparison basis, the Kindle Graphite DX is a better deal than the Kindle 2. The DX costs 100% more, but for that you get 133% more storage capacity and a 164% larger screen. The extra screen size is nice to have when reading books—it means you don’t have to scroll down nearly as often. But where the larger screen size really shows it’s worth is when reading magazines, maps, illustrations and newspapers. In the landscape viewing mode a newspaper on the DX looks like, well, a paper newspaper. In comparison, reading a newspaper on the Kindle 2 is a little frustrating. Add to that a significantly better screen, a slightly better keyboard and web browser and a native PDF reader and the Kindle Graphite DX is our choice. 1) People who don’t have a large enough budget to afford a Kindle DX. In terms of functionality, the Kindle 2 is similar to the DX. 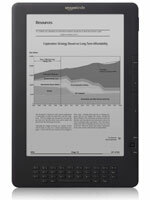 If you are facing a budgetary choice between getting a Kindle 2 or not getting an e-book reader at all, get the Kindle 2. You’ll be happy with it. 2) People who have especially small hands. The extra weight and size makes the Kindle DX tiresome to hold with one hand for prolonged periods of time. This isn’t an issue when you are reading on an airplane, for example, or sitting on your couch at home. But if you are, say, standing in a crowded subway and holding onto a handrail with one hand you’ll get tired holding the DX with only your other hand after about 10 to 20 minutes. The Kindle 2’s keyboard is also more small-hand friendly. 3) If extreme portability is important to you. The Kindle 2 is small enough to fit into a medium handbag or an oversized coat pocket (like those on the inside of the Essential travel jacket). To carry around the Kindle DX you really need the likes of a daypack or briefcase or laptop bag. Whichever Kindle you choose—the Kindle 2 or the Kindle DX—welcome to the world of e-books. Happy reading! I looked into the others and found the features of the 2 suited my needs. No matter which Kindle edition you get, I promise you’ll be very happy you went with the Amazon Kindle! In October I went away for a quiet week in Maine-looking forward to a nearly unlimited supply of free/affordable books to read..I hadn’t left my driveway before I BROKE IT!!! I folded my seat down right on top of it. The screen was damaged and I couldn’t see half the page. I was going to check out and buy one of the kindle’s they are selling now at the retail stores, and called customer service to make sure there wouldn’t be a problem transferring my content; they told me they would replace it free of charge (including the shipping for the new one and the return for the broken one as well!) and they also shipped it to me in Maine! It was in my room in 2 days! I’m looking in to getting a kindle but my choices are the 1st version kindle or the newer 2nd edition . But i have no Idea what i should get !! I ‘m not really tech savy need help!! I am looking at getting another one for my daughter, and found your comparison info helpful. I will add another comment in favor of the Kindle 2. I find it very helpful to have the next page/previous page buttons on both left and right sides of the book, as it allows me to use both hands.